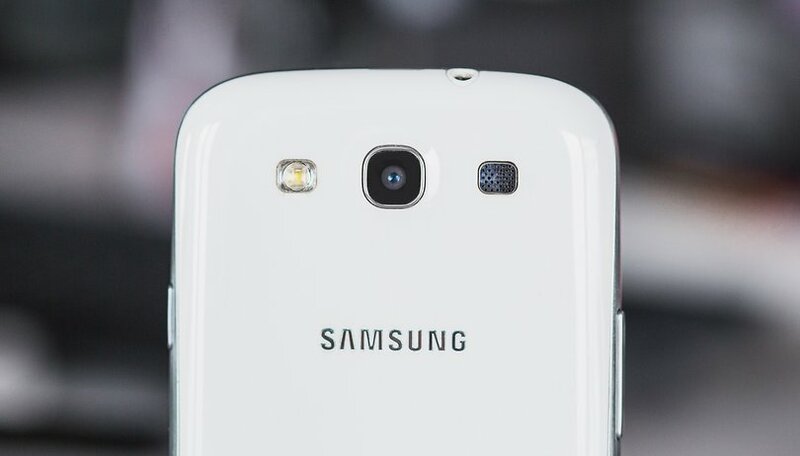 The Samsung Galaxy S3 is still a great smartphone even if it's a bit older. To make sure it ages gracefully, you should read ahead. Is your Galaxy S3 running slow and you want to speed it up? Check out the tips below and should be able make your Galaxy S3 faster in no time. Your phone may have started to feel a little slow over the years, particularly if you compare it to the latest and greatest handsets. But before you rush out to the shop to upgrade, you might want to try some of these tricks to help boost the speed performance of your Galaxy S3. If you've had your phone for a couple of years, it's probably full to bursting. Your phone's performance will suffer if it's nearly full, so it's worth having a clear-out to accelerate things. While there's nothing to stop you from manually remove apps and files, it makes sense to get a little help from a dedicated app to make it easier. CCleaner is an app that may be familiar to Windows users, but it is also available for Android. Fire up the app, and you can opt to uninstall multiple apps in one fell swoop rather than having to work through them one by one. Tap the menu button to the upper left of the screen and select the App Manager option before ticking the boxes next to any apps you want to remove. You can then tap the Uninstall button at the bottom of the screen. This is not all CCleaner is capable of; it can also be used to help free up more space by deleting file. Select the Cleaner option from the menu and tap the Analyse button at the bottom of the screen. CCleaner will spend a moment determining how your storage is being used. You can work through the list, selecting types of files you would like to remove (such as cache files and things stored on the clipboard) and then hit the Clean button to free up all of this space. The animations that accompany certain actions – such as opening an app or moving between screens – may look nice, but they are also something of a waste of time and resources. If you'd like to make things a little snappier you can disable animation effects entirely, but you will need to ensure that you have enabled Developer options first. Head to Settings, tap Developer options in the Security manager section, and flip the setting to On before tapping OK. Scroll down to the Drawing section and tap the Window animation scale, Transition animation scale, and Animator duration scale settings in turn. In each case, select the Animation off setting and you should notice an improvement in overall responsiveness. Many people are fans of voice-activated controls, but if you do not fall into that category, you probably find that S Voice is just an annoyance. But more than being an irritant, Samsung's alternative to Google Now slows down your device unnecessarily. If you are tired of accidentally initiating the feature and wasting time, it can be easily disabled. Double tap the home key to call up S Voice (for one last time!). Tap the menu button and then tap Settings. Untick the option labelled Open via the home key and then back out to save the new setting. You'll never be bothered by S Voice again unless, of course, you decide to manually launch it on purpose. One of the culprits that may be slowing down your Galaxy S3 is the built in launcher. There are plenty of lighter weight alternatives to choose from in Google Play, so you might want to take a browse through what's available and choose something that's a bit snappier. Nova Launcher is a neat, fast option but there are numerous others that you may prefer. Take a look at our top 10 Android launchers article for some more ideas. If you want a greater degree of control over what is happening on your Galaxy S3, you might want to think about rooting it. This opens up a wealth of new options including the ability to remove system apps. Once you are rooted, grab yourself a copy of System app remover from Google Play. There are a number of built-in tools you might want to consider removing, but prime candidates include Knox and help files. Try not to go over the top as you could end up causing problems, but you will find that System app remover highlights those components that are safe to remove. Are there any other favorite tricks that you like to use to speed things up on your Galaxy S3? Have you gone as far as rooting your device so you can install additional software and make it faster? Your contribution will surely help the users to get bet out their smartphones. Thanks! Usually I don't write comments, but you have done a great job this was very useful for me. I had bought this phone back in 2012 and was just about to throw it away but your tips and tricks were very helpful. Kit Kat 4.4.4 is officially available for the S3 4G (i9305 and i9305T). Back up all your data and flash 4.4.4 with Odin. I used the official XEF ROM - works perfectly. Way faster than 4.1.2, but Google killed file manager permissions to write to external microSD cards. Aside from that functionality crippling, it's a nice send off for the S3 4G. Rooted Galaxy S3 VM. I installed System Tuner. I adjusted the governors on cpu to performance instead of on demand and opened both cpu to full. I have noticed a significant improvement on response time. The processing speed is choked other wise. Over the time my Galaxy S3 I9300 became very slow, so slow that I almost gave up and bought a new phone, but what solved my problem was rooting the phone and replacing the ROM with KitKat 4.4.4, now it's super fast and I don't need to buy a new one. If your phone is also slow then first you need to root your phone, I used the free eBook from this sit galaxys3booster.wordpress.com, but you can also search Google, some of the rooting tools are free and some cost about $30. After you rooted your phone you can replace your ROM, you can find guides in Google, I used the guide from the site above. Hi G3, please, can you give us the ROM's name that you installed? Bang on tips to breathe new life into s3 that has been abandoned by Samsung. In addition I've found that disabling phone search in Google now options has really made my phone much more responsive I have a 1gb ram s3. Not rooted. Running latest jellybean. Running Google now launcher. Smartphones are becoming a necessity in modern day life, but with so many choices, it can be hard to choose. Speeding up your smartphone is a must so that it can keep up with your multitasking activities. I rooted my S3 and put Omnirom V5 on it. Very pleased with the OS, as it comes with KitKat 4.4.4. With a 3800mhz battery in it , life is great between charges, but takes a bit longer than standard battery. CyanogenMod made for a performance.it's normal if your battery drain to much and faster.No lagging when you use it,not like the stock rom.Your device will lag when you used stock rom but your battery not drain to much.It's the different between custom rom n stock rom.My advice is,your can choose another custom rom from xda site like neatrom,omega,sen s5 and another custom rom.Choose wisely. You can also speed it up by rooting it. Since it is out for two years now, the warranty is off anyways. The international version of the Galaxy S3, with serial no. GT-I9300, can easily be rooted with Framaroot. Just Google it. You don't even need a PC for that. And I am also a great fan of The Drop Box. It easily backs up everything important, so I don't have to go through all the trouble of turning on a PC. After I rooted my Galaxy S3 I installed CyanogenMod on it. Nice! But now I have to do something with the battery-life. It drains really quickly. Any Ideas? The best, most efficient, and the most common sense thing to do is, get an iPhone. If you got an old iPhone like the 4s and installed iOS 8 and ur Problem is definetly that it is to slow .... Then there is only One thing that can really speed up your phone, go and buy a new iPhone 6. Go, buy it, buy it, buy it! 1. Plug phone into a PC and dump all pictures/video/documents worth saving. A factory reset is a good option, but it's worth using the other tips if you dont want to go to the trouble of making sure you have everything backed up.